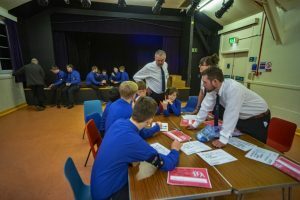 A rural company of The Boys’ Brigade is setting the precedent for the rest of the organisation by integrating anti-bullying workshops and exercises into its regular programme. 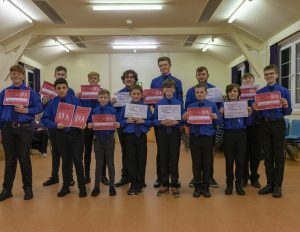 The company section of 1st Millport, made up of young people aged between 11 and 18, have been using free teaching and learning resources from Scotland’s anti-bullying service, respectme to highlight and discuss anti-bullying themes such as inclusion, acceptance, celebrating difference, self-reflection and respect. The materials form part of the Scottish organisation’s yearlong anti-bullying campaign, #ChooseRespect. “It’s really important for all young people to learn about respect and inclusion of their peers and community but especially so for young people who live in rural communities or, like ours, island communities. “For The Boys’ Brigade, we want young people to discover more about themselves and the world around them, realise what they are capable of and how their voice can be heard – and that has to include self-respect and respecting others. “When young people from Millport go to secondary school they join mainland schools and young people from different backgrounds, and we want to make sure that our young people are as aware of different cultures and people in different circumstances as anybody on the mainland. “But let’s not forget, young people these days are in no way unaware of diverse issues – social media and the internet has really helped to make the island’s young people more connected to the wider world. “It’s really positive to have youth organisations such as The Boys’ Brigade on board and using the #ChooseRespect campaign materials. “The materials have been developed specifically to help spark conversations in youth settings as well as classroom environments. When it comes to positive relationships and respect, we believe youth groups are hugely influential and important arena for fostering this. The Scottish anti-bullying campaign, #ChooseRespect, builds on last year’s Anti-Bullying Week conversation about what respect means to young people and adults. The campaign this year launched during Anti-Bullying Week in October 2018 and runs until June 2019. Split across four stages, the campaign aims to build young people’s understanding of key behaviours including respect and how to address bullying behaviours that they might witness. The four stages of the campaign are: Self Reflection (launched in October 2018), Celebrating Difference (launched in January 2019), Building Empathy (launching in March 2019) and Positive Relationships (launching in June 2019). By signing up to the campaign, BB leaders will gain access to new tools that will help young people fully understand what respect means, and the impact it can have on others. Those who ‘pledge’ their support are also encouraged to nominate others who work with young people to ensure a far a reach as possible.